Every now and then we long for the structure of a quilt that requires repetition and precision. This is such great fabric called Birds and Berries–so appropriate for this time of year. And it couldn’t be easier to make with one of the Creative Grids rulers. If you have not checked out the Creative Grids website, be sure to visit www.creativegridsusa.com. They feature videos for all their rulers. And more importantly, they are all designed by women who are over 40. So the numbers are BIG. And CLEAR. And EASY TO USE on all fabrics. Even more importantly, they sell only to small quit shops. Be sure to ask your local shop if they have them. This particular ruler makes it easy to whip together quarter square triangles. Just stitch together a couple of 2 1/2 inch strips (from a jelly roll is fastest! ), press and lay flat. Lay the ruler over the top and follow the angles. The lines on the ruler mark the top and bottom of the fabric and the seam line, so your cut is precise. Cut along the edges of the angles, and move on down the strip. Very little waste. 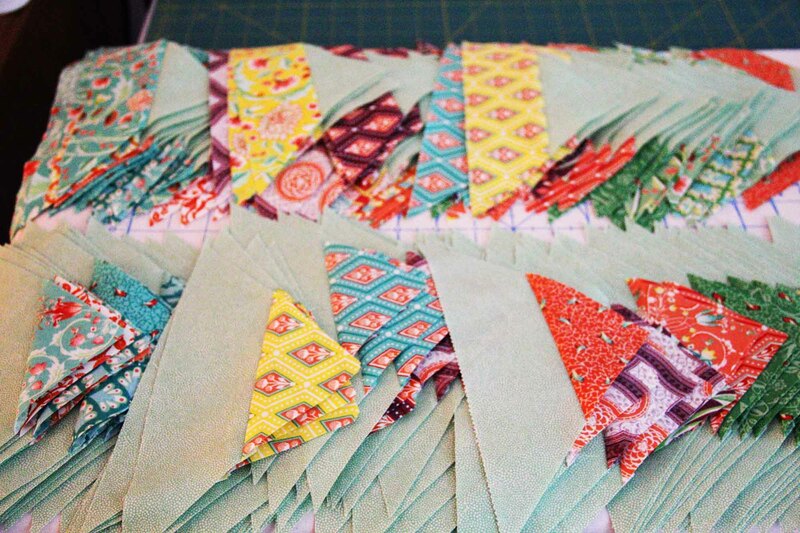 Before you know it, like me, you’ll have piles of quarter square triangles to assemble. 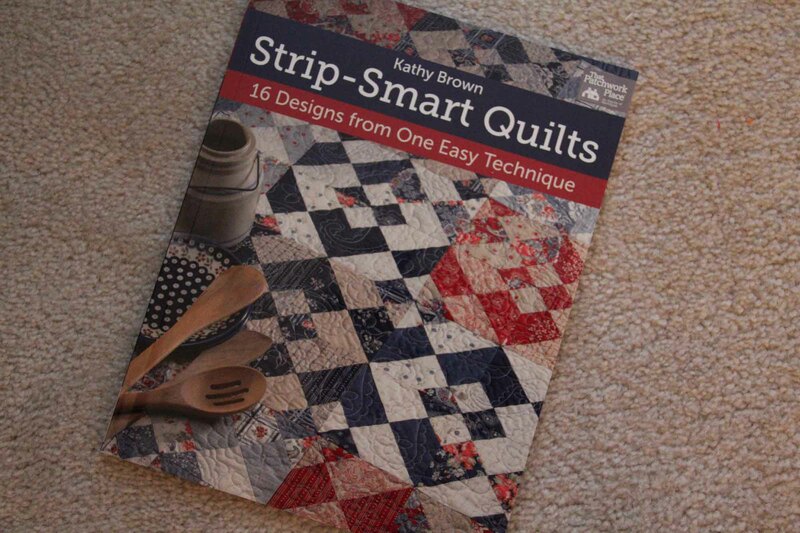 One of the books recommended by Creative Grids is Strip Smart Quilts by Kathy Brown. Using this ruler she provides 16 different patterns for this one technique. You’re sure to find something you like. And the best part is that the piecing goes really fast. 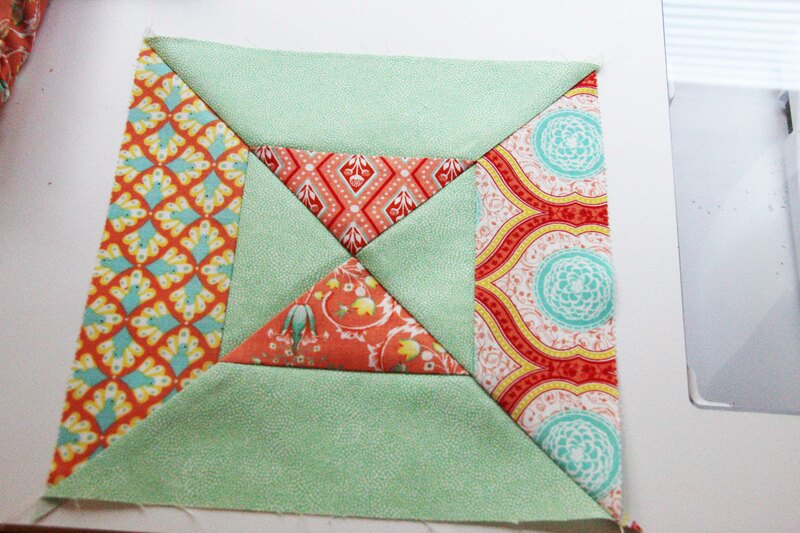 I’m just loving this, but have no idea what the quilt will look like when I’m done or how to quilt it in the future. For now, I’m making blocks.. lots of them, all basically the same–repetition, precision, structure. This entry was posted in Piecing, quilting and tagged jelly rolls, quilt blocks, strips by edges. Bookmark the permalink.